The London Paddington Steam Carriage Company was one of the early efforts to develop steam-powered road transportation. This image of the London Paddington Steam Carriage Company is from an unidentified source. It may be from the Scientific American. 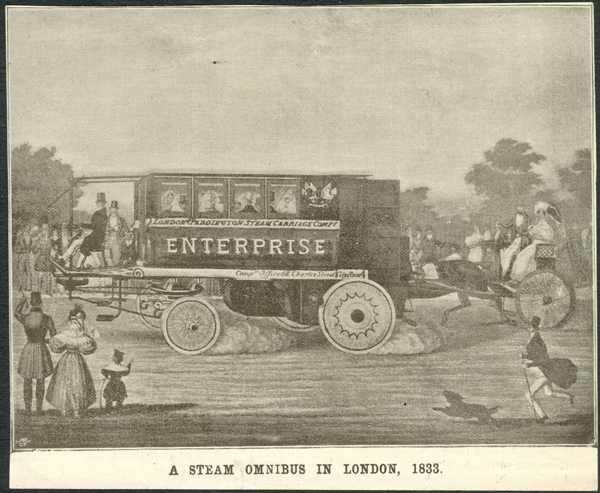 The carriage is identified as a Steam Omnibus, running in 1833.